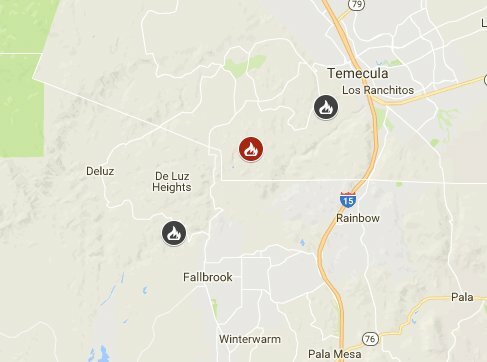 DE LUZ, Calif. – A brush fire was reported at 1529 hours PDT in the area of Calle Uva x Calle Jardin, west of Temecula, California – sparking the wildfire name of Jardin Fire on Saturday, June 2, 2018. The cause of today’s fire was due to a car fire into vegetation. Though the ROS has been stopped, resources will remain on-scene for fire watch for the next 6 hours. The first arriving engine from the CAL FIRE/Riverside County FD reported a 5-acre fire with a slow rate of spread.